How do decision makers manage the deluge of information generated by accelerated digitization, automation, and computational simulation? Moreover, how are novel algorithms and analyses thoughtfully integrated into existing institutional mechanisms? Stakeholder collaboration technology may expand the number of stakeholders at the table, but how can disparate views be reconciled under such complexity? Ira Winder, the Department of Urban Studies and Planning’s new Technical Instructor of Urban Science and Planning, sees a future where real-time interactive simulations of complex systems are common tools for debating meaningful topics at the intersection of society and technology. 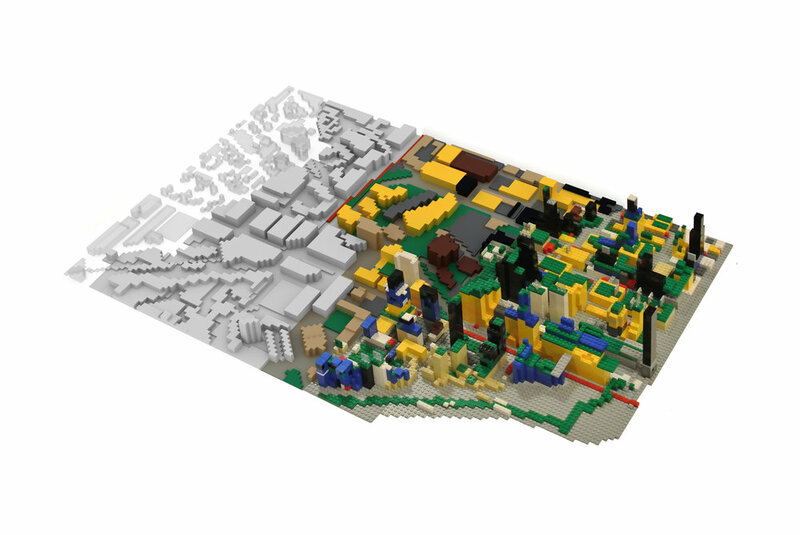 While working as a Research Scientist at the MIT Media Lab’s Changing Places Group, Ira invented the Tactile Matrix, an open source technology that uses Lego bricks paired with digital simulation to help stakeholders rapidly prototype and evaluate development scenarios. This technology embodies simultaneous innovations in real-time simulation, decision science, user experience, industrial design, projection mapping, and computer vision. His research has become a platform for research and engagement for projects around the world, notably the Media Lab’s CityScope project. Winder is the first faculty member to join DUSP specifically for the new 11-6 undergraduate major, Urban Science and Planning with Computer Science. He is no stranger to the MIT ecosystem, as he is an alumnus of both the MCP and BSAD degree programs. Over the years, Ira has also built research collaborations with MIT’s Strategic Engineering Research Group (SERG), Sociotechnical Systems Research Center (SSRC), Systems Design and Management (SDM), and the Institute for Data, Systems, and Society (IDSS). To learn more about his work before joining DUSP, visit his website, here. Why did you choose to pursue a BSAD and then an MCP at MIT? How have your experiences at DUSP and MIT shaped your research? Ira: One of the absolute weirdest things you can do as an MIT undergrad is major in Architecture (BSAD). It was exactly the type of education I needed. I had already developed mathematical and technical prowess at that point, but the BSAD program taught intuition-based design skills and human-centered values - that were a new experience for me. That program rocked my soul, and those lessons uniquely permeate my work to this day. Now-retired Prof. Jan Wampler, who was head of the undergraduate Architecture program at the time, influenced my education and his legacy is still apparent in my work. It turns out my personality didn’t quite mesh with the architectural industry. I was drawn toward big, hairy, nuanced, and complex problems - so I found myself applying to grad school for a Master in City Planning (MCP) at MIT. As a grad student, I had some very formative experiences working with Dennis Frenchman and Chris Zegras to develop algorithms to predict and evaluate the energy consumption of entire city blocks in China. Eventually, it became clear that I was pushing my usual tools (GIS, CAD, Rhino, and Grasshopper) to their limits, so I needed to learn something more powerful to achieve the sort of impact I wanted to see. It was about this time that I crossed over into the Media Lab and started to use the toolkit of a Course 6 person - picking up skills that made me feel like a true computational urbanist. I’m very grateful to Kent Larson of the City Science Group, who gave me the time and space to learn and practice those skills. Much of your work builds a bridge between the physical and the digital realms – making data physically tangible and real-objects digital – how did that interaction impact decision-making processes? Ira: I was first introduced to the concept of “tangible bits” by Hiroshi Ishii’s Tangible Media Group. It seems futuristic, but it’s fun to remember that some of the first digital-tangible tools were being used for urbanism classes taught by Prof. Eran Ben-Joseph as far back as 2000. The basic theory is that human cognition and learning is reinforced when abstract concepts are simultaneously represented by physical objects that you can touch and manipulate. When a decision-making process depends on a simple and shared understanding of an abstract system, tangibility has the potential to make information more accessible to any given individual in a stakeholder group. The framework of “tangible bits” has also lowered the barrier for model-based collaboration among researchers in academia. For example, an architect with a physical model of a building’s form and a developer with a financial model of the same building can theoretically collaborate to build a physical-digital artifact that embodies the knowledge of both the architect and the developer. I hope for a future where such artifacts play a very prominent role in all manner of decision-making. How do you envision the new 11-6 major helping MIT undergraduates achieve positive change in the world? Ira: I joined the 11-6 faculty because it is exactly major that I wish existed when I was an undergraduate student at MIT. I want to ensure that our graduates not only have the wisdom to thoughtfully frame complex problems, but also the capability to implement new tools for addressing those problems. We should settle for nothing less than a cohort of brilliant, strong-minded students who relish human complexity and systems thinking. To that end, I will be working with my faculty colleagues to oversee and develop curriculum content, retrofit existing courses, advise students, develop outreach mechanisms, and maintain a network of alumni and industry partners who support students and cutting-edge research.